How Can Smoking Affect Your Health & Fitness? If you smoke, consider substituting swimming for your cigarettes. Smoking and swimming each affect your health, smoking negatively, swimming positively. Smoking and swimming also each directly involve lung function, smoking negatively, swimming positively. Swimming can actually help you stop smoking. Habits good or bad can be hard to break. As evidenced by numerous smoking-cessation programs and support groups such as those promoted by the American Cancer Society, quitting smoking can require significant effort. 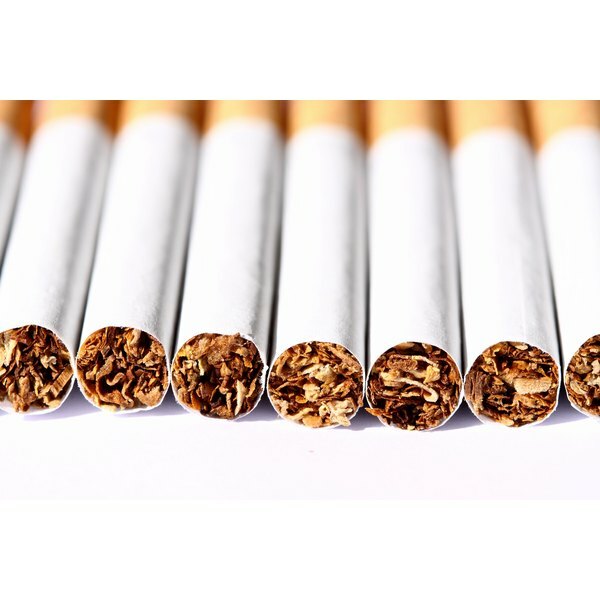 However, the payoffs include the decreased likelihood of getting lung, throat or mouth cancer; improved cardiovascular and pulmonary function; fewer respiratory infections; and better breath and dental health. In America, there is an increasingly negative stigma to smoking as well, Finally, cigarettes are expensive; in the USA a single pack costs, on average, $5 a day, or $1700 yearly, per MSN Money -- not counting medical treatments. Swimming Benefits describes how the sport improves lung and heart function, muscle strength, immunity and even mental health. Swimming is renowned for its mood-elevating endorphins, neurotransmitters that increase pleasurable sensations of well-being. Swimming also builds all-around physical strength and endurance. If you smoke, your lungs are susceptible to infection and inflammation caused by smoke's carcinogens and other toxins. Your lungs contain alveoli, tiny air sacs across the membranes of which oxygen and carbon dioxide are exchanged. This gas exchange is harmed by first-hand and second-hand smoke inhalation but improves significantly with exercise. Muscle Mentor details alveoli activity within the pulmonary system and explains how aerobic exercise increases the actual number of alveoli in the lungs and therefore markedly boosts overall oxygen uptake and cardiopulmonary fitness. The American Heart Association states that nicotine is an addictive drug, causing your brain to increasingly crave it. Without enough nicotine, you experience withdrawal pains. Swimming can be addictive, too. In 2008 MSNBC printed an Associated Press report that exercise such as swimming excites similar neurological pathways, hooking the brain on its own feel-good chemicals, and possibly changing brain chemistry enough to prevent drug addiction. Swimming addicts typically also improve muscle tone and cardiac fitness, and, as described by ReadySetGoFitness, naturally increase serotonin, an endorphin that governs restful sleep and a sense of calm. Swimming's dangers lie in the possibility of drowning, but are minimized by proper technique and lifeguards. Pool chlorine can irritate your eyes, nasal passages and throat, but these irritations are rarely as severe as repeated smoke inhalation. If you are serious about your health, the American Lung Association provides numerous resources to help you quit smoking ... so dive right in. How Much Weight Can I Lose if I Swim 3 Hours a Week?